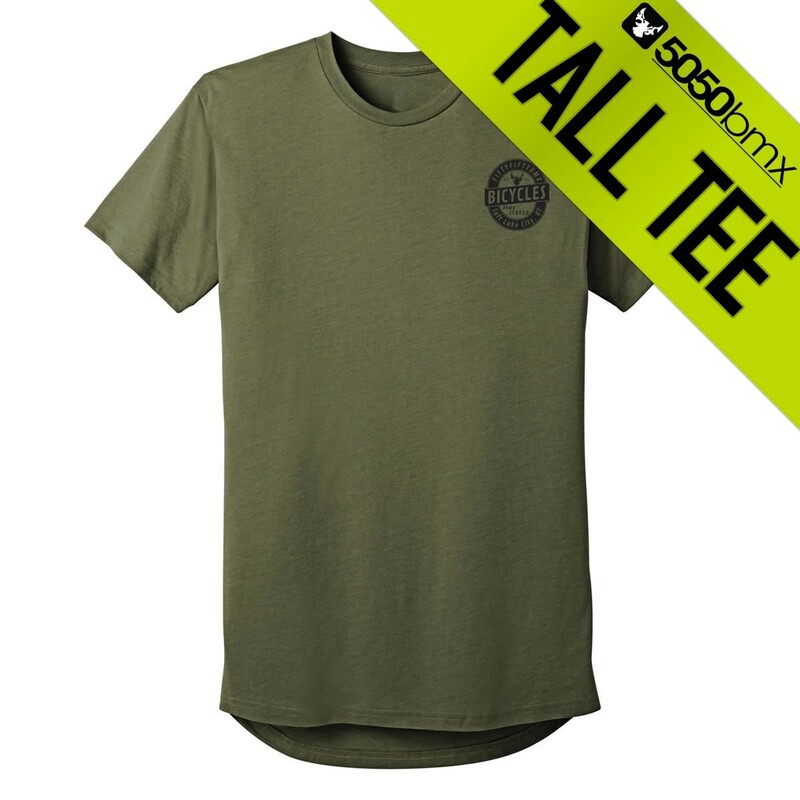 We call this the "Tall Tee" because of the longer body. 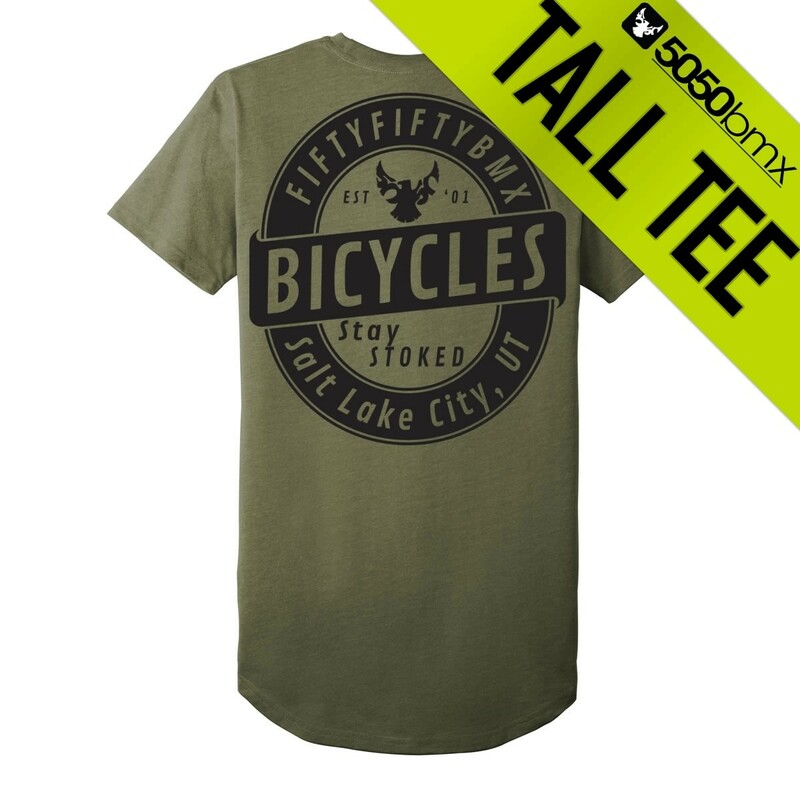 There's a good mix of riders who like this tall tee versus the regular fit tee. Which style works for you? 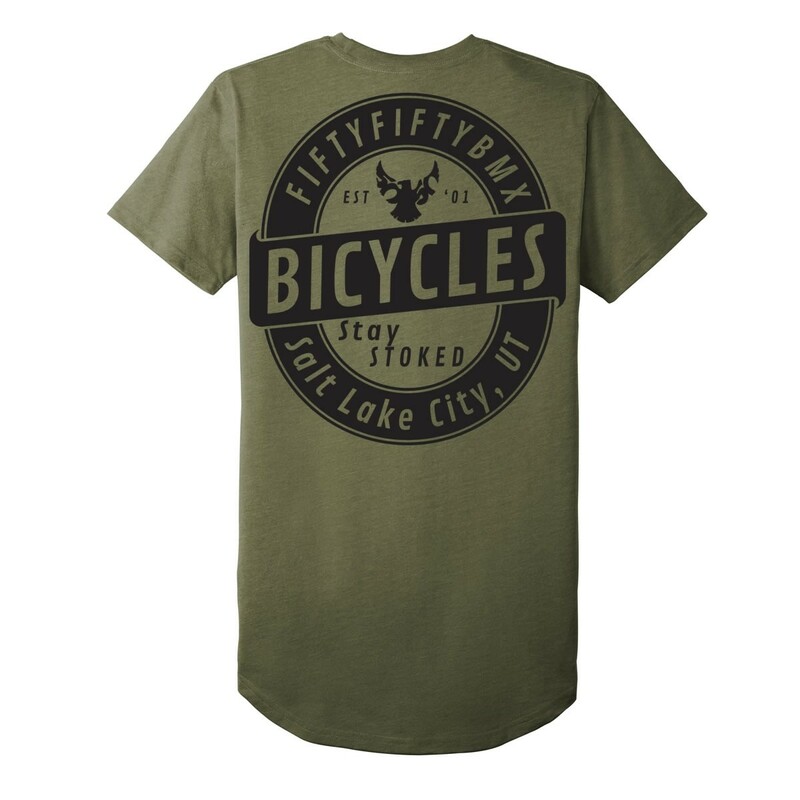 The Stay Stoked print on this shirt is screen printed in the USA.